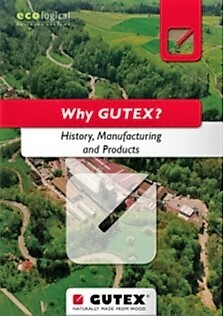 For over 80 years, GUTEX, a Black Forest family-owned and operated company, has produced insulation fibreboards from wood at its plant in Waldshut-Tiengen, Germany. 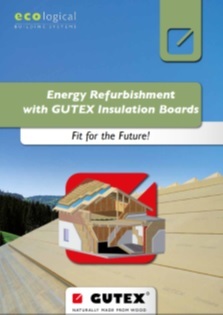 Today GUTEX is a leader in innovative, environment-friendly manufacturing and is the only manufacturer capable of producing single-ply, wood fibreboard insulation in thicknesses up to 240 mm – with all the advantages that come with German quality! 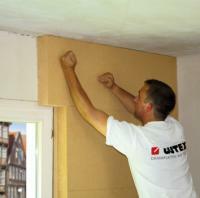 Low thermal conductivity, which guarantees excellent protection in winter against cold. Highest possible volumetric heat capacity for the best protection against heat in summer. Superb water vapour permeable design, which regulates humidity and produces pleasant interior living conditions. 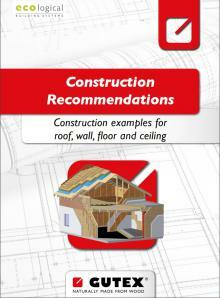 Unsurpassed absorption of impact and structural noise. Easy, problem-free disposal and recycling. 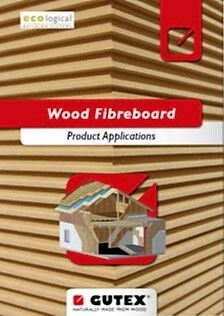 Biological safety and environmental compatibility: GUTEX insulation boards are manufactured from raw material obtained from Black Forest forests where only sustained forestry practices are employed. All GUTEX products undergo stringent quality control tests by GUTEX and are subject to approval by an independent, authorised test and certification Agency (FMPA, Stuttgart). GUTEX’s quality and environmental protection management system, certified according to DIN EN ISO 9001, ISO 14001 AND EMAS 11 (EU Eco Audit Ordinance), guarantees the environmental compatibility and consistently high quality of GUTEX products.